Why Should You Consider Tooth Extraction? It should be noted that as we grow older, the desire to save our teeth marginally increases. The reason behind this is that growing a new set of teeth is impossible after our adolescent years. For that matter, many often have a habit to put tooth extraction off saving them as a last resort. Preserving our teeth is indeed a noble effort and with that being said, some teeth are worth saving while others, not so much. Let us look at some of the reasons why a tooth extraction in Canberra may be necessary. A tooth may not be saved if it has received irreplaceable damage because of tooth decay. An infection may arise due to the bacteria that is created by the decay which can then invade the pulp. During such cases, it is best to have the affected tooth removed as soon as possible. The same is true with regards to periodontal disease which is an infection of the gums and the surrounding teeth. A tooth extraction procedure will be able to provide timely and effective aid to the problem. Sometimes even though no infection is involved, clients may still be advised to have their tooth extracted. A good example of this is the overcrowding that can happen in the mouth with your teeth. Having no room for the teeth to move and realign can be a huge problem as this can affect the overall quality of your smile. This also applies to an impacted tooth in which a wisdom teeth removal in Canberra is often advised. Modern technology has contributed greatly in helping change the way teeth whitening is provided to the community. People today will find a variety of whitening procedures for their teeth each with their own respective feature that helps set them apart from each other. Furthermore, teeth whitening is made available on a regular day to day basis making them very much accessible to their patrons. Let us look at what you can expect with the teeth whitening cost in Canberra as well as their respective procedures. It should be noted that teeth whitening prices in Canberra may vary depending on the treatment. For instance, your traditional in-chair treatment can cost $400 to perform which includes the use of professional bleaching products to improve the overall look and your teeth. On the other hand, Zoom teeth whitening in Canberra which cost $500 or more has a bit more involvement by usin g modern equipment such as a UV device which helps accelerates the bleaching process of the peroxide. Last but definitely not the least is laser teeth whitening in Canberra which is considered to be as one of the most expensive whitening treatments in the present. This procedure cost around $1,000 but can sometimes vary as it may require several treatments to achieve the desired results. The cost however, is something many find a worthwhile investment because of the huge amount of convenience it brings. Speed is one of the biggest advantage of laser whitening making it a popular choice for those who are in a hurry to show off their bright and beautiful smile. Modern technological advancements in the field of dentistry has resulted to the introduction of new and innovative procedures that aims to help make oral health and management become more accessible than ever before. Teeth whitening has experienced quite an improvement introducing new approaches to their clients. As a result, when looking for a whitening treatment you will be greeted with a number of procedures that you may or may not be aware of. Let us look at what professional teeth whitening in Canberra has to offer. It should be noted that there are no best teeth whitening in Canberra especially since the answer can be a bit skewed because of an individual’s preference. Over the counter treatments are preferred by many because of their simplicity as well as the low barrier of entry. This whitening method is indeed very cheap however, they are also considered to be the least effective out of the Canberra teeth whitening options that are available taking a considerable amount of time before providing noticeable effects. The same is true with regards to take-home treatments which are a bit more expensive compared to the previous one. 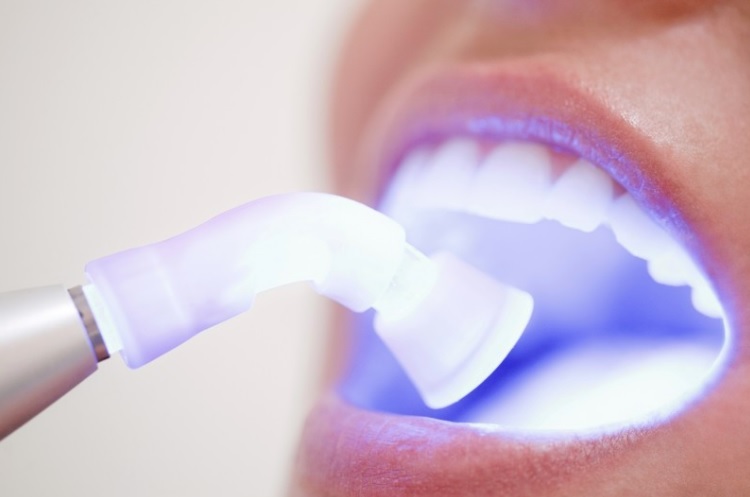 Those who want faster results with their teeth whitening in Canberra will opt for in-office whitening which can range anywhere from $300 to $1000. Many find the cost to be a worthwhile investment especially because of its speed and effectiveness which the procedure provides. Get in touch with your dentist to learn more about the different whitening treatments today. For an inexperienced individual, all oral health issue can all be the same having little to no difference. With that being said, each and every oral health issue is different and needs to be addressed and approached with care. Root canal therapy for instance, is something not everyone is familiar of. It is imperative to treat root canal and its issues with haste as they can come back to haunt you in the future. Let us look at some signs that can lead to the need for a root canal treatment in Canberra. It should be noted that root canal issues are not that very subtle but in fact is easy to spot. For instance, patients who have a chipped or cracked tooth from eating hard food can result to exposure to the nerves beneath the surface of the tooth and could lead to an infection in which you may require a root canal therapy in Canberra. On the other hand, people who have teeth that are overly sensitive to heat or cold can be a good indicating factor that a root canal treatment may be required. The sharp or intense pain that your teeth felt can be a result of a damaged blood vessels or nerve endings. This is all the more important especially if you have been experiencing prolonged tooth sensitivity for weeks or months without any sign of improvement. Getting in touch with your dentist is necessary in order to receive proper treatment and diagnosis of your root canal. Depending on the circumstances, root canal cost in Canberra can be very expensive especially for those who are unfamiliar of the procedure. With that being said, just like any other procedure, planning and preparation plays a very important role in helping maximise the cost of root canal. 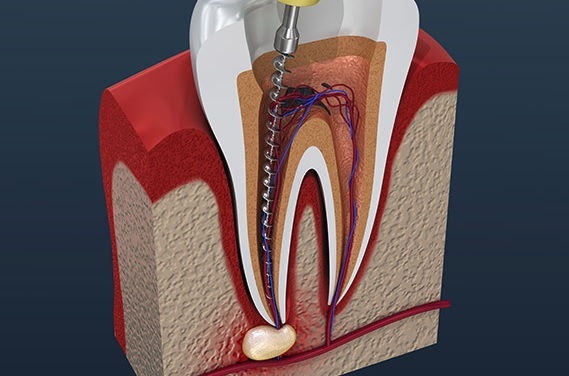 Let us look at some of the ways where you can save money with your root canal therapy. It should be noted that one of the most effective ways of saving money with a variety of dental service is through insurance. Having a dental insurance coverage does indeed go a long way in helping reduce the overall expense of your procedures. Another thing to note is that most insurance companies have waiting periods before their customers will be able to utilise the plan in full and as a result, it is important for clients to prepare their insurance coverage in months or before their dental appointments. Aside from your dental insurance coverage, you will also be able to lower the overall cost of your root canal prices in Canberra by looking for clinics that have special added discounts and deals with their plans. Last but definitely not the least is to resolve any oral health issues as soon as possible which helps reduce the risk of further complications with your teeth. For that matter, make sure that you don’t delay your dental appointments as well as take your dentists advice and recommendations lightly or for granted. People are taking the necessary measures in order to keep their teeth in good shape and form at all times. Their efforts can be seen with regular brushing and flossing of their teeth. With that being said, there is a lot involved with regards to preventive dental care with dentists playing a substantial role for its success. Let us look at what you can expect with preventive dentistry in Canberra with the services that they provide. It should be noted that regular health checkups play a huge role in helping keep our bodies in good shape and condition. The same principle also applies greatly to our oral health which needs to be maintained in order for them to be able to perform at their best. This is where services such as preventative dental become quite handy to acquire as it greatly decreases the risk of oral com plications which their clients may not be aware of. The goal of preventive dentistry is to stop the development a variety of oral health problems before they become a huge issue. Aside from regular checkups and periodic maintenance, a preventive dentist also shares their knowledge and insights to their clients on how to take good care of their oral health. This includes proper home care, brushing techniques, the use of fluoride toothpaste and even choosing the right type of food with proper dieting which definitely goes a long way in helping their clients achieve a perfect set of teeth. It is pretty common to find children who are afraid of dentists. The reasoning behind this fear is because of the stories that they hear from their peers which are often pretty negative. This in turn can cloud their judgement that would make them fearful with regards to dental clinics. There are however, a number of ways parents can ease the minds of their kids when going to a dentist. First off, make sure that you find an appropriate dentist for your child. Since we are dealing with kids, it is best that you look for a paediatric dentist in Canberra. These individuals are expert in dealing with children. This is displayed not only with their skills but also with their surroundings. You will find children’s dentistry in Canberra to have a warm and more welcoming atmosphere when compared to your traditional dental clinic. This is done in order to make kids feel relaxed and at ease during their visit. 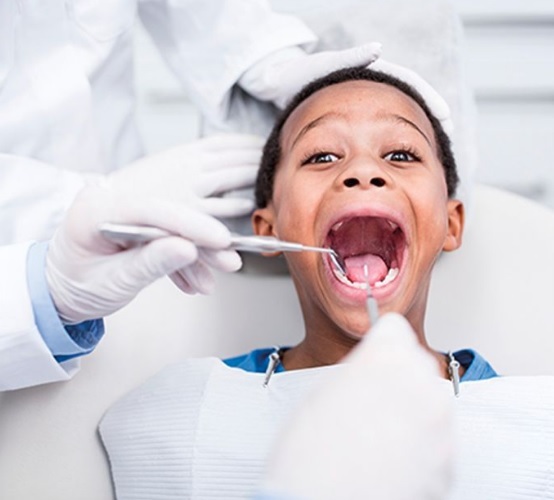 Children’s dentists in Canberra are trained to accommodate the needs and preference of their patients making them the optimal choice for such cases. Aside from booking an appointment with a Canberra paediatric dentist, it is also a good idea to get your children to explore the dental clinic beforehand. This allows them to familiarise the place which helps them pique their curiosity. Offering them a reward is also a great way to motivate your child to visit the dentist however, make sure that you do this after and not before their appointment. Dental services come in different shapes and form giving people plenty of options on how they want to handle their oral health. The increase of dental treatments can sometimes confuse one on what best suits their preference and need. Knowing the difference between a regular dentist and a specialist such as an orthodontist can help you save a fair amount of time with your search. Let us look at the services orthodontics in Canberra provide to their clients. People are often given a recommendation to visit an orthodontist in Canberra if they have issues regarding overbites, occlusions, misaligned teeth and jaws, and overcrowded mouths. A Canberra orthodontist’s role is to straighten their client’s teeth and as such, their focus revolves around the mouth, jaw, teeth, gums, and nerves. One of the most popular orthodontic treatment can be found in the form of dental braces. These individuals will be in char ge of pulling your teeth closer together to correct the issue which is done by bonding brackets on the front teeth and connecting them via wires. Over time you will see a marginal improvement with the alignment of your teeth making braces a great option to have. Even though some general dentist will be able to offer orthodontic service, their range and scope will be limited not being able to provide the same level of experience and training as an orthodontic specialist. This is all the more reason why many find their services to be invaluable and irreplaceable. Invisalign has been growing in popularity receiving their fair share of the spotlight over the years. The unique visual aesthetic it provides helps draw the attention of more people allowing to wear this type of braces with confidence and price. Invisalign cost is something that needs to be taken into consideration especially since this type of procedure is known to be on the expensive side of things. Let us look at some of the factors that can increase or decrease the cost of Invisalign in Canberra. Invisalign price in Canberra can range from $3500 to $7000 making them a bit more expensive when compared to the traditional dental braces that are available in the present. Braces cost can change gradually depending on how much alignment patient’s teeth require. The same is true with regards to the number of aligners patient’s will need as this can affect their overall cost. Last but definitely not the least is the number of adjustments which is done over the course of the treatment. It is good to hear that a lot of dental insurance companies today include dental braces as one of their coverage. This also applies to Invisalign braces making them very convenient to acquire. For that matter, it is important that you get in touch with your insurance provider first and discuss with them your plans in getting clear braces. Doing so will help save you a substantial amount of resources with your treatment. It should be noted that most people will not be overly enthusiastic to hear that they may require braces to fix misalignment and other related issues with their teeth. The reason behind this is because of the stigma that revolves around dental braces which is not viewed in a positive light due to the way it looks. Modern technological advancements however, has led to the introduction of Invisalign in Canberra giving people a noteworthy alternative to their traditional dental braces. As mentioned earlier, one of the primary concerns people have with braces is that it can affect the overall look and feel of their smile. This issue is addressed with the introduction of invisible braces in the form of Invisalign. This type of brace provides a unique clear look that is not present with the traditional ones. This allows people to wear Invisalign braces with pride as they don’t have to worry too much about their looks. Another noteworthy issue people have with dental braces is that most of them are directly attached to the teeth. This means that removing them is impossible unless you have the assistance of a dentist. In contrast, this issue is not a huge concern with clear braces in Canberra as they can be easily removed at any given time by their wearers when the need calls for them to do so. This is quite convenient as you can have them removed during meals and have them installed right away after you are done.